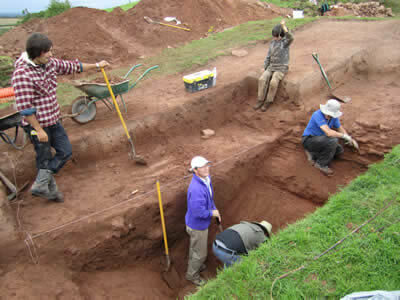 The Habitats and Hillforts project has teamed up with Liverpool University for a second year running to carry out excavations on the Merricks Hill area of Eddisbury’s Iron Age Hillfort. Students from the School of Archaeology, Classics and Egyptology are spending four weeks under the supervision of their lecturers, re-excavating work began last year, opening up the original trenches opened between 1936 and 1938. Other more modern excavations will also be assessed in order to provide further information for the future management of Merrick’s Hill. The opportunity will be taken to recover material for analysis using cutting edge scientific techniques in dating and environmental analysis. The students will be hosting an open morning on Saturday, 13 August between 9am and 12pm, when visitors will be able to see the privately owned area of the Hillfort and be guided around the 3rd week of the archaeological excavation. This is just one project of many that the Habitats and Hillforts project is undertaking. 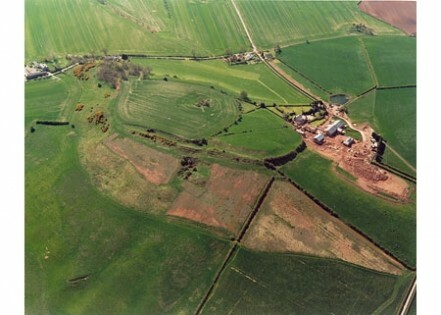 Habitats and Hillforts aim to conserve and enhance the string of six important Iron Age Hillforts along the sandstone ridge and their associated habitats. The involvement of local people in the project is key to its success and there are lots of opportunities to get involved. The scheme is supported by dedicated partners including Cheshire Community Action, English Heritage, Forestry Commission, National Trust, Woodland Trust, Cheshire Landscape Trust and private landowners as well as the Mersey Forest who are all committed to the overall success.